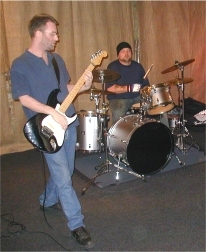 Brian left the Pointy drum stool in the summer of 2005. 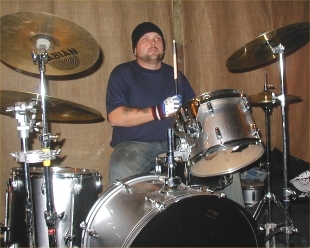 Brian joined Pointy Boss for a three-month trial as a new drummer in October 2003. Although Brian would classify himself as a 'learner', never having played in a band before, it was clear within a few short weeks that Brian was easily good enough to join the band as a permanent member. Brian is acquiring assorted bits of new kit, and working flat out to learn the Pointy live set. He's now looking forward to his first live outing with the band in the spring of 2004, and to experiencing his first studio recording session later in the year.